Join us on Saturday, November 17th from 9:00am-4:00pm for a day of teaching, food and fellowship. 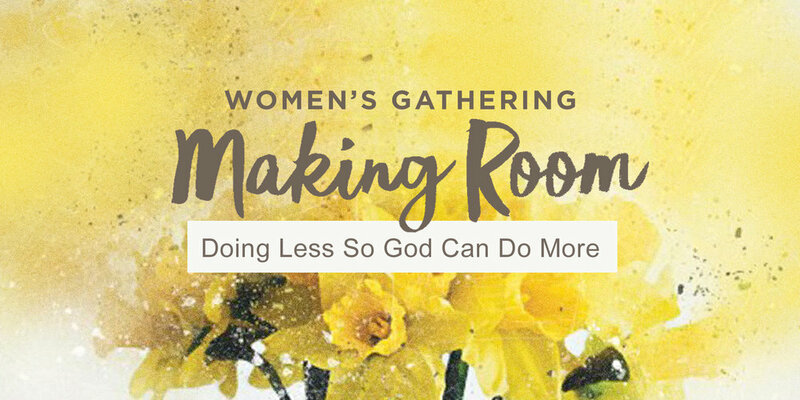 Billie Jauss, a member of our Summit family and author of Making Room: Doing Less So God Can Do More will be our speaker for the day. The cost will be $20 and will include Billie's book and food for the day. You may pay at church and receive your book ahead of time or you may pay at the door on November 17th. For questions or more information, email Jenny Lundquist at jenniferlundquist96@gmail.com.